All Hazel Kent wanted to be was a healthy weight and to live a longer life. A self-confessed "yo-yo" dieter with a large appetite, she believed that one day her hunger would eventually prove fatal. 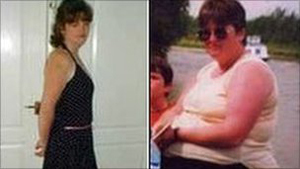 Ten years ago she shed seven-and-a-half stone (49kg) after having a gastric band fitted privately. However there were complications and when the band was removed the mother-of-three, of Bracknell, Berkshire, regained the weight. 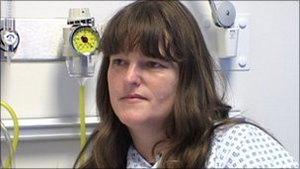 Mrs Kent, who has glucose intolerance - which can lead to diabetes - believed her only hope was gastric bypass surgery. The keyhole operation makes the stomach smaller and shortens the length of small intestine that the food passes through. But it has a price tag of up to £15,000, which her local NHS trust refused to fund due to Mrs Kent's Body Mass Index (BMI) not being high enough. After a three-year fight during which the 40-year-old started legal action in a bid to change the law though the courts, Berkshire East Primary Care Trust agreed to pay for the operation, which took place on Tuesday. "It's going to be a lifesaver to me, simply because I'm not going to follow the same path my father has followed," Mrs Kent told the BBC News Website. 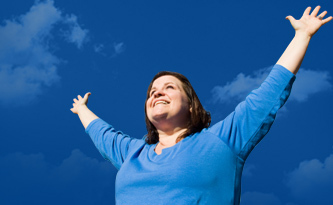 "All the things that are associated with being obese I'm hopefully going to avoid now. "I feel really happy, not just for me but ultimately for other people who were in the same situation as me." In 2009 figures revealed the number of people in England who had undergone obesity surgery had increased by 40%. Statistics from the NHS Information Centre revealed there were 2,724 operations, including stomach stapling and gastric bypasses to reduce stomach size, with 1,951 operations having taken place the previous year. Mrs Kent was originally told her BMI was not high enough to be eligible for NHS funding. Berkshire East PCT said its guidelines stated anyone undergoing the surgery should have a BMI of at least 50, while Mrs Kent's was 37.8. The trust, which had refused funding four times, added that other criteria had to be met in order for patients to have the operation. Although Mrs Kent is not morbidly obese, she said it was better for the NHS to spend the money now rather than her getting to the stage where she would be an increased cost to the taxpayer. "It makes no sense whatsoever to deny people a £10,000 operation when they are going to save millions in the long run," she added. "I know this is my only chance - the last thing in a long line of diet and exercise. "When you can't control that it's no different to an alcoholic who can't control alcohol, or a smoker who can't control smoking - it's difficult, very difficult." The two hour-long surgery took place at London's University College Hospital. Lead surgeon for bariatric surgery Marco Adamo, who carried out the operation, said it would ultimately allow Mrs Kent to live for longer and stop her from developing diabetes, which runs in her family. "The reason why she's entitled to have surgery is for metabolic reasons," he said. "So this is not about her weight, this is about her metabolism and her health and we are trying to prevent the development of diabetes, and we all know diabetes is a silent killer." Mr Adamo, who carries out up to 200 gastric-related operations a year, said it was true that surgery could be perceived as "drastic" by some but money had to be spent up front to make savings later on. "Yes, you can lose weight by diet and lose weight by exercise but there are some mechanisms in the body which will make you regain weight," he said. "Anybody knows its very easy to lose weight but even easier to regain the weight you will have lost. "So surgery helps these people, not just to lose the weight but to maintain their weight loss." NHS Berkshire East would not comment further on Mrs Kent's case. It said one of its key priorities for investment over the past two years had been an initiative which helped people make healthy lifestyle choices as an alternative to surgery.